Buy or Sell Used Polycom phones. Polycom VVX IP Phones and Video phones, Polycom VVX Phones. Sell buy refurbished Polycom telephones. Polycom lets you move forward their line of VVX Business Media Phones. Polycom's VVX series provide a unified voice and video communication experience for executives, knowledge workers and call attendants. Polycom brings you superior audio and video technology for every business size. 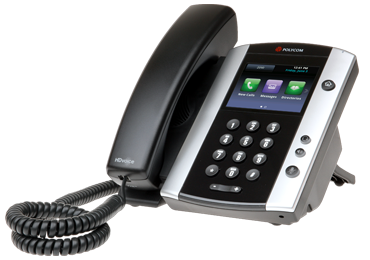 At Business Phone Systems, we have a great Polycom VVX IP Phones available including the Polycom VVX 1500, VVX 600, VVX 500, VVX 410, VVX 400, VVX 310, VVX 300, Color Expansion Module 02-114979, VVX Expansion Module 02-114980, and the VVX Camera 2200-46200-025. Call us today at 1-888-234-4975, and we'll be able to quickly help you with your order.